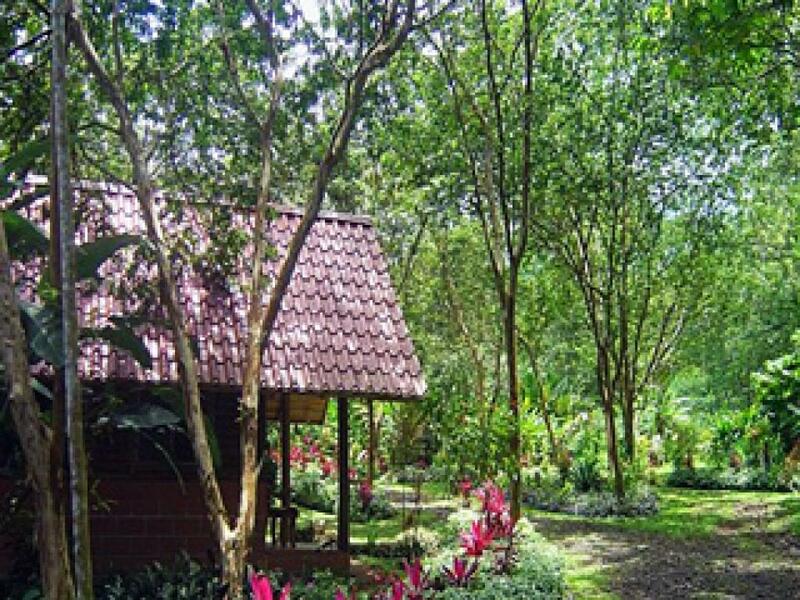 Arenal Oasis Eco Lodge & Wildlife Refuge is owned by a local Costa Rican family. 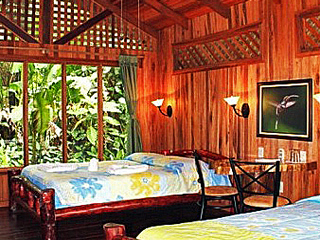 The hotel is located less than a 10 minute drive to La Fortuna in Arenal. 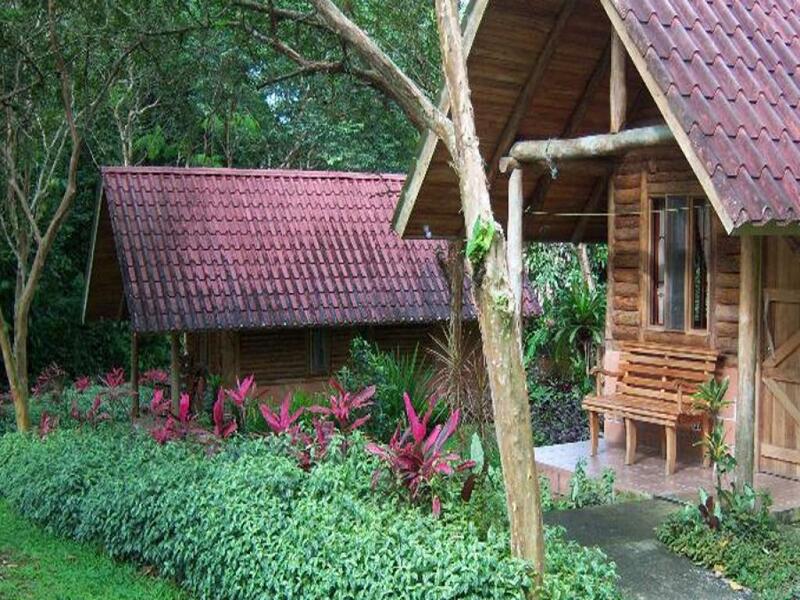 The comfortable, rustic but charming cabins are dotted about the property alongside a small forest with its own trails. 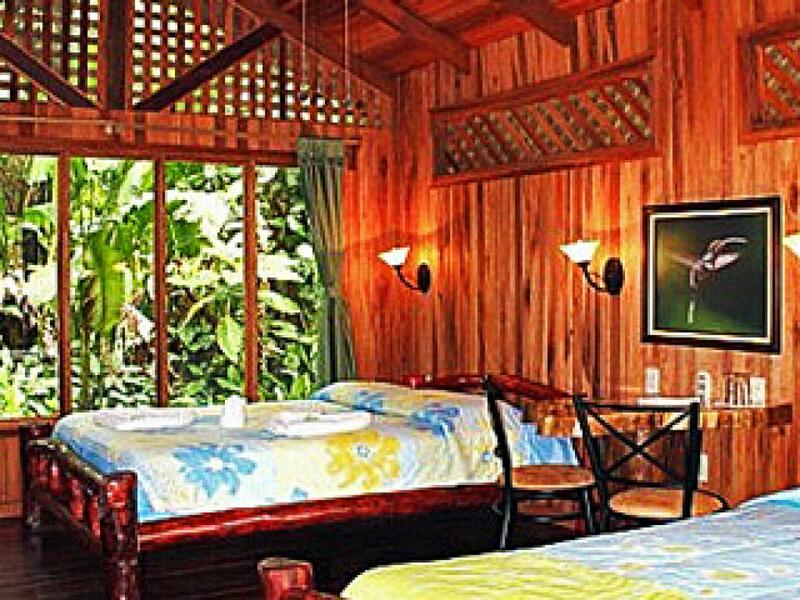 The eco lodge is known for its sustainable practices and is geared to guests seeking family style hospitality, wanting a different experience than staying in some of the fancy western resorts in the area. 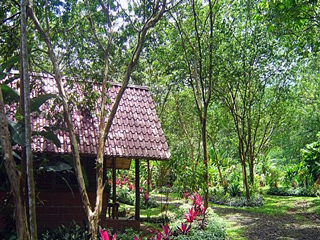 The grounds feature an extensive collection of tropical plants and 12 acres (five hectares) of forest and trails. 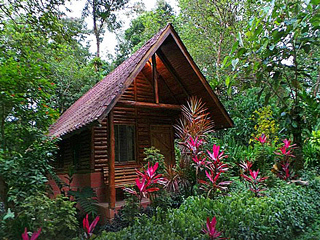 The Lodge can arrange its own birding, natural history walks and night tours in their forest to see a variety of nocturnal animals (with luck! 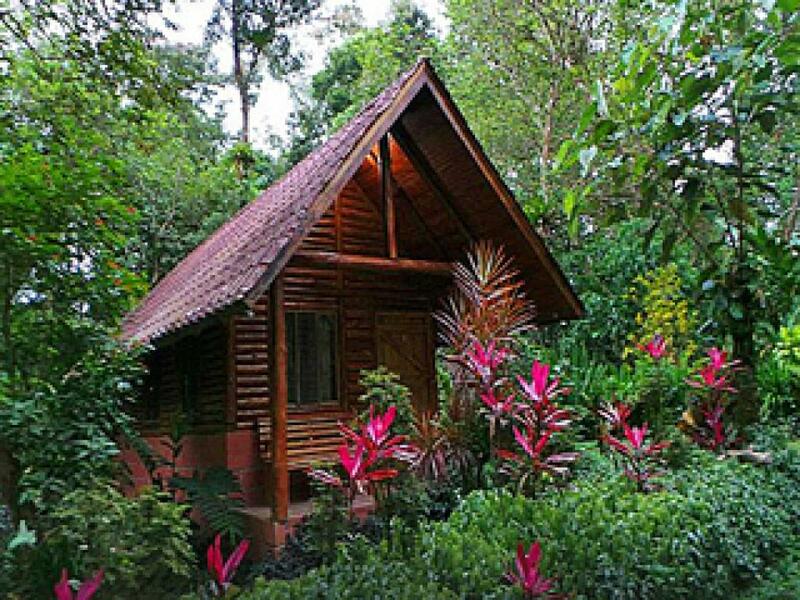 ), reptiles and amphibians (especially frogs), and insects. The hotel has a restaurant called Mi Tierrita. In the morning this is where breakfast is served. Fruit is put out for the birds and it is amazing having your breakfast whilst watching the colorful, tropical birds at the feeders.